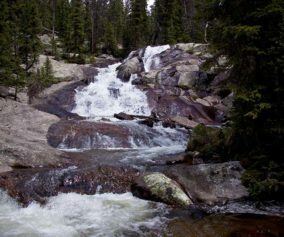 From Bear Lake in Rocky Mountain National Park (just 2 hours from Denver), you can launch out on dozens of hiking adventures, trails that range from less than a mile to full day treks back into Glacier Gorge or Andrews Creek. 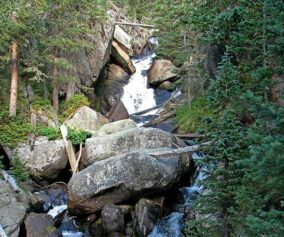 If you are visiting Colorado and looking for a high variety of trails or just a good place to start your vacation, this is one of the best places in the state. 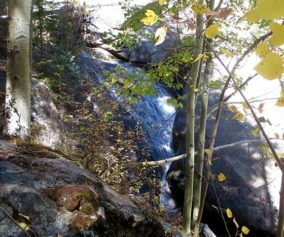 For details on the trail, see the hiking trail profile below, and download the trail map to get an idea of the different hikes that begin at Bear Lake. Photo Courtesy of Ben Grey. 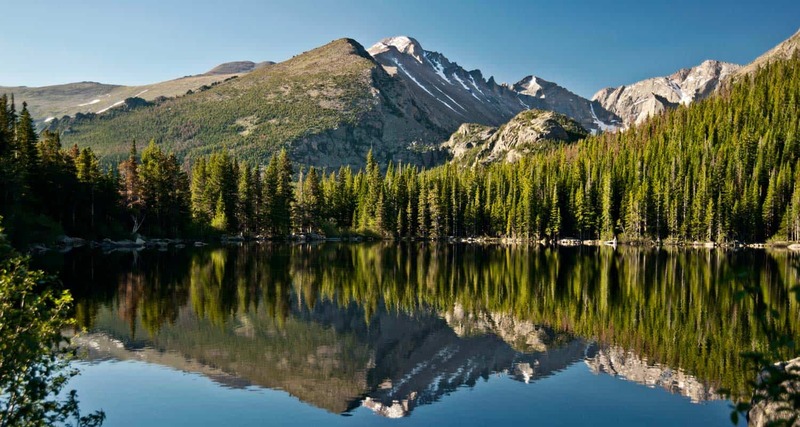 Bear lake is the epicenter of Rocky Mountain National Park. This means that you can access a ton of trails from here, but it also means a lot of traffic. So, we always recommend getting there early, on weekdays, and to go during the off-season – if you can. 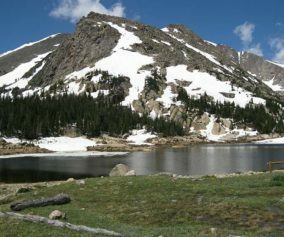 The Bear Lake Trail is a short 0.6 mile loop around a beautiful lake with views of the Rocky Mountains. The hike is considered handicap accessible; however, the trail is not paved. Bring a Lunch: Getting this far into the park, even just driving, is quite a trip from the outside world. We suggest packing a lunch so that you can stay longer. And food just tastes better outside anyway. A great gentle easy hike. My dad managed it with a boot on (ankle problems) and the views are breathtaking! I agree, Bear Lake is a great place to start a Colorado hiking vacation. Lots of trails start from the area and you only have to walk about fifty feet from your car to have a beautiful view of the lake.